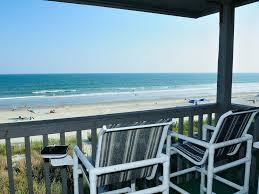 Einhorn Insurance provides condo vacation rental insurance in California. Whether your condo is rented on a daily, weekly or monthly basis, our agency can assist you with 1 policy that allows you to stay in the unit for part of the year, while you rent out the condo as a vacation rental for the remainder of the year. As a vacation rental owner, you cater to the individual that’s looking for a different travel experience. High hotel room rates and costs associated with staying in a hotel (taxes, parking, daily resort fee, expensive restaurants, pet fee, etc) make privately owned condo vacation rentals all the more enticing. What does condo vacation rental insurance cover? Dwelling or Building Coverage– For a condominium or townhome, building coverage is usually everything fixed to the property from the walls inward. This includes coverage from damage to flooring, fixtures, cabinets, toilets, countertops, baseboard, lighting, additions, etc. Your HOA most likely covers the common areas, but it’s important to make sure you read your CC&Rs and know what you are responsible for insuring. Other Structures– These are structures not attached to the unit such as a separate garage or storage unit. Loss of Rent– The purpose of having a vacation rental is income. But, what happens if there’s a claim and the property can’t be rented while being repaired? You still want the income you would have made during a time of loss, especially if there’s a mortgage and HOA dues. Liability– This is probably the most important coverage on the policy. What if someone gets hurt while in the unit or your guests invite friends over and they get hurt? What if your occupant leaves a bath tub running, a stove on, a candle burning and caused damage to not only your property, but also damages your surrounding units? You are responsible for that damage. In addition to medical expenses, this portion of the policy also covers attorney fees you may incur in defending yourself and lost wages for the injured party. Medical Payments to Others– Pays reasonable and necessary charges for medical, surgical, X-ray, dental, ambulance and hospital expenses. Personal Injury– Provides coverage if you are sued by your tenants for wrongful eviction, wrongful entry, invasion of privacy or libel/slander. Who can be listed on the policy as a named insured? Policy holders are also able to add property management companies and co-title holders as Additional Insureds. The proper coverage is extremely important. You want to make sure your policy covers the type of “risk” and manner that you’re using your property. Let’s be honest…there are some of us out there that turn a blind eye to the minimum rental period per the CC&Rs. We press our luck by renting on a short term basis. Our goal is to make sure you are properly covered so your assets and finances aren’t compromised. For more information on Condo Vacation Rental Insurance, visit Einhorn Insurance at https://einhorninsurance.com/california-home-insurance/. We offer flexible payment options and accept properties of any age.